If you need auto service at a price that won’t break the bank, take advantage of the Nissan oil change coupons and auto repair coupons at Nissan of Yorktown Heights! We routinely rotate our service specials so that you can make use of everything from brake service coupons to great prices on tire services, making it easier to service your Nissan vehicles like the Nissan Sentra. Before you schedule your next service appointment in Yorktown Heights, do yourself a favor and use our current auto service coupons. Whether you’re on the hunt for oil change specials or auto service coupons, our attentive and highly-trained service department will accommodate you and your Nissan. 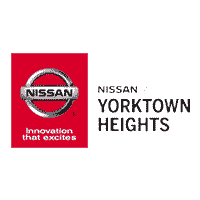 Find out why Ossining drivers choose Nissan of Yorktown Heights, and contact us at your convenience to learn more about our available service specials!